Advanced Wellness & Rehab is pleased to announce that they have added a new and revolutionary pain center to treat chronic, acute, and pre and post surgical pain. The central goal of laser therapy is to stimulate the cell to perform its natural functions, but at an enhanced rate. Targeted in hemoglobin and cytochrome oxidase, the high power diode laser could help the respiration and then in result have a good performance therapy. In sharp contrast to “Cold lasers” which provide no feeling or sensation, high power diode laser therapy will provide warm and smoothing feeling. There is no pain control center like this in or near the Wichita area that uses the Accu IV Class IV Laser. Laser therapy has an antiedemic effect as it causes vasodilation, but also because it activates the lymphatic drainage system (drains swollen areas). As a result, there is a reduction in swelling caused by bruising or inflammation. First: Accu IV Laser Therapy is the production of a high power level of impulses of light at a billionth of a second. It is the high power during each pulse that drives the photons, or light energy to the target tissue, up to 10-13 cm or 4 -5 inches deep. The Accu IV high peak power of up to 30 watts creates a higher photon density, delivering the highest concentration of photons for healing and providing the deepest tissue penetration. Class IV laser therapy strongly influences pain reduction, the improvement of circulation, and increases cell metabolism. Second: The Accu IV uses pulsed or continuous wave broad band infrared laser diodes that gives optimum stimulation. Not low powered LED’s as with some units. Third: The pulsed or continuous beam of the Accu IV penetrates more dense tissue depth and has beneficial anti inflammatory effects. Fourth: The Accu IV keeps ionized molecules of tissue in a dissociated stage, enhancing the energy potential at the molecular and cellular level. It is these four different treating elements of the Accu IV laser that produces such great results. Q: Is Laser Therapy Safe? A: The Accu IV is completely safe when used by a trained technician like the ones in our clinics. However, certain precautions and contraindications need to be followed. The doctor will let you know if you are a candidate for Class IV Laser treatment or not. Laser therapy is a drug free, non invasive therapy with superior healing ability. Q: Does Laser Therapy cause heat damage or cancer in the tissue? A: Absolutely not. The average power and the type of light source (non ionizing) laser therapy does not permit carcinogenic (cancer causing) effects. Due to increased blood circulation there is sometimes a very minimal sensation of warmth locally. A: The typical treatment ranges from 5 to 15 minutes, depending on the size and area being treated. A: Acute or new conditions may be treated daily, particularly if they are accompanied by significant pain. More chronic problems respond better when treatments are received 2 -3 times per week, tapering to once a week or once every other week with improvement. A: You may feel improvement in your condition (usually pain reduction) after the very first treatment. Sometimes you will not feel improvement for a number of treatments. This does not mean that nothing is happening. Each treatment is cumulative and results are often felt after 3 or 4 sessions. Q: How many treatments does it take? A: This depends on the nature of the condition being treated. For some acute conditions, 1- 6 treatments may be sufficient. Those of a more chronic nature may require 10 to 15 (or more) treatments. 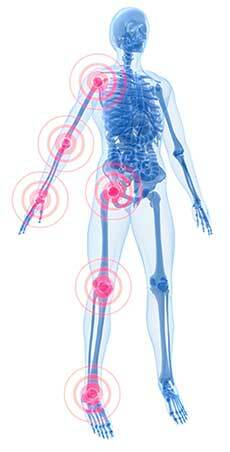 Conditions such as severe arthritis may require ongoing periodic care to control pain. Our normal course of treatment is 12 visits. To get started, all you need to do is give us a call at 316-440-7470, or come by Advanced Wellness and Rehab, located at 2020 Tyler Rd Suite 112 Wichita, KS 67212, for a no charge consultation to see if Accu IV, Class IV laser therapy will help you. 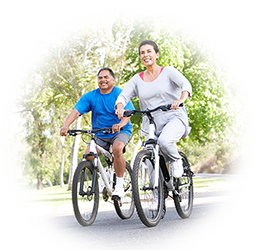 Schedule a Free Consultation for our Effective Class IV Laser Therapy.